Having a multi sports facility installed at a school, college, leisure centre or club is a great way to have a range of different sports available all in one place. 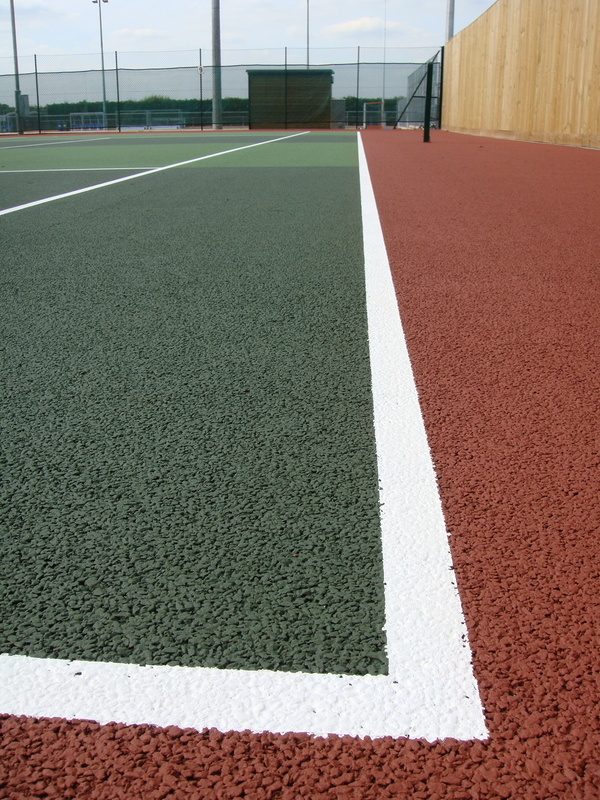 Some of the most popular surfacing options for an all purpose court are porous macadam and polymeric rubber. These provide ideal playing characteristics for activities such as tennis, basketball and netball. It’s important that your surface looks great and is safe for players; this is why multi use games area painting is an important component of any MUGA construction project. 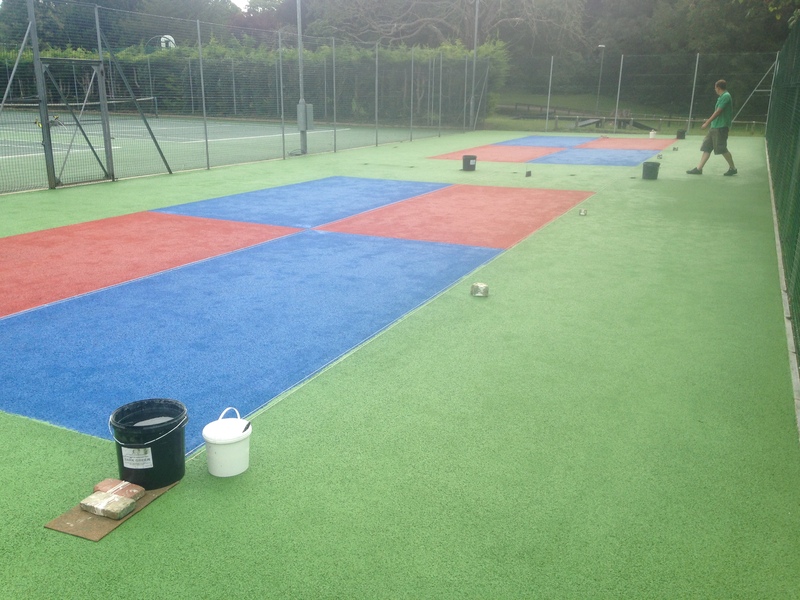 You can have a paint coating applied in a range of different colours including red, blue and green to enhance the look of your court and to give it a personalised touch which matches school or team colours. 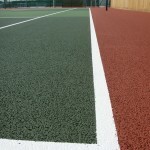 Line markings can also be applied for different sports in contrasting colours to distinguish between each one. Please speak with our experts to day to find out about the various services we offer. If you have an existing MUGA court which needs painting then feel free to contact us so we can offer a quote for this work. 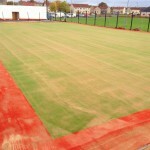 We are also able to complete the full installation of a new facility including laying the surface and supplying additional fencing and floodlights. The slip resistant qualities of this acrylic multi use games area painting ensure that the surface of the court provides good traction and grip to keep the surface safe for players and prevent injuries from slips and falls. 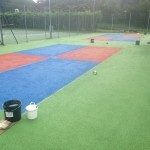 Our non slip sports court colour coatings meet the safety accreditations set out by the relevant sports governing bodies including LTA and SAPCA so you can be confident that your sport facility will have the best safety characteristics for your players. 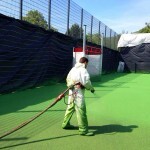 Anti slip MUGA painting also ensures that your sports court is SUDS compliant and allows water to drain through it. This then prevents waterlogging and flooding which could damage the surface and lead to costly repairs. The costs involved with multi use games area painting can vary depending on a number of factors including area size, surface specification and site access, however we can tailor a quote which fits within your budget and still provides you with a great value service. 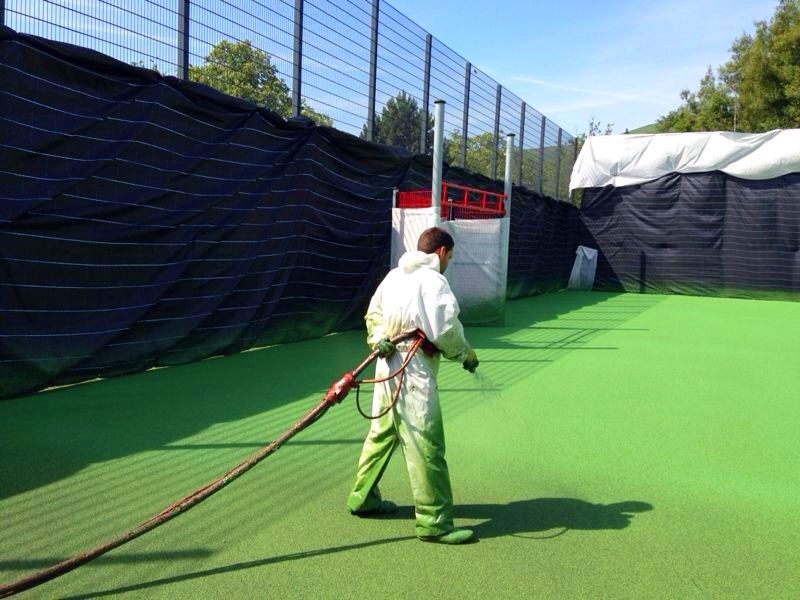 It’s important that the MUGA court surface is thoroughly cleaned before a paint coating is applied, this ensures that the anti slip paint has an even and professional looking finish. For this reason we usually include outdoor court cleaning and chemical treatment as part of any anti slip painting project. 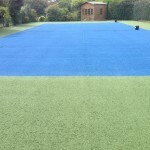 This can also have an impact on the costs of MUGA surface painting however it greatly reduces the chances of needing a re-spray in the future. It’s always important to take cleaning and maintenance into account when setting a budget for paint applications as this can be a major factor in determining a price. 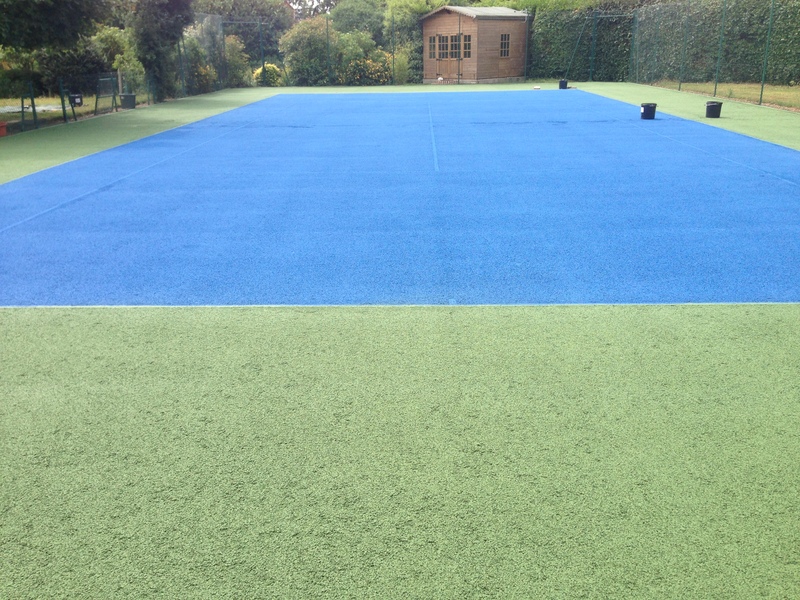 This video shows the process of installing a MUGA sports court with blue anti slip paint and line markings for football and basketball. This type of facility is commonly chosen by schools and colleges as it allows them to make the most of their outdoor space by playing multiple sports in the same area. It’s important to keep your multi sports facility surface well maintained to ensure that the colour coating and line markings stay in the best condition for as long as possible. This will help to make certain that game scoring is accurate for any activities that are played. Regular maintenance for a MUGA sports court could include brushing and pressure washing to remove dirt and debris which, if left on the court, can cause damage to the surface and make it unfit for use. Carrying out this type of maintenance will help to preserve the overall quality of the surface and keep the paint coating and line markings looking great for a long time. If you leave the flooring to become dirty and contaminated, it can start to get slippery and dangerous. This could potentially lead to players being injured during a match or training session. As safety should be the top priority for any sporting facility, it is certainly recommended to keep up with a maintenance routine. You can get in touch with us through our enquiry form if you would like any more information on multi use games area painting and line marking applications. Send us an area size for the court and also a project post code and we’ll get back to you with a cost estimate for the work you need us to carry out. We have completed many projects throughout the UK so don’t hesitate to ask if you’d like to find out more about all of these services. One of our friendly staff will respond with all the information you need.